Great Free Trial version, No Logfiles (Zero Knowledge) - but sadly quite slow connection speeds sometimes. 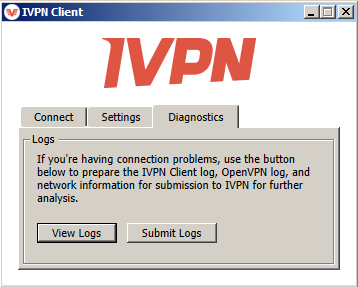 How fast is the VPN Service Ivpn? One of the company’s offering a free week’s trial of its virtual private network service is iVPN, and the company also offers users the ability to multihop between servers. Downloading the iVPN software is fairly simple and the service can be be loaded to most operating systems. The technical details provided on the company’s website offer detailed user instructions so customers with little technical knowledge should not have problems getting up and running with the service. Where iVPN does seem to fall down though is on the customer service side as the only system in place is an email ticketing system, although there are comprehensive FAQ on the website which may address a number of common problems. User security and anonymity is a major issue for iVPN who are based on Malta. The company states that if the privacy laws should change in Malta they will have no hesitation moving their base to a different country as they feel their guarantee of keeping no logs at all should be maintained. The system is fast, the company state users should not notice any delays when connected to the service and customers receive unlimited bandwidth so there are no limitations to downloads while on this contract. The multihop facility gives customers the ability to changer servers by clicking buttons and with no need to log into the company website when doing this. An independent review of the service did confirm speeds for single hop connections were very good, although the speed results for multihops were not so convincing and some connections did not work at all. The independent review of the service also highlighted that gave slow L2TP performance on an iPhone. Overall, however, the review of iVPN was quite positive apart from the dire results from the multihop tests.